Oxfam's We Can Campaign seeks to change deeply ingrained attitudes and practices that endorse gender discrimination and violence. It was initially launched in 2004 in six South Asian countries and has since been replicated in several African and Middle Eastern countries. 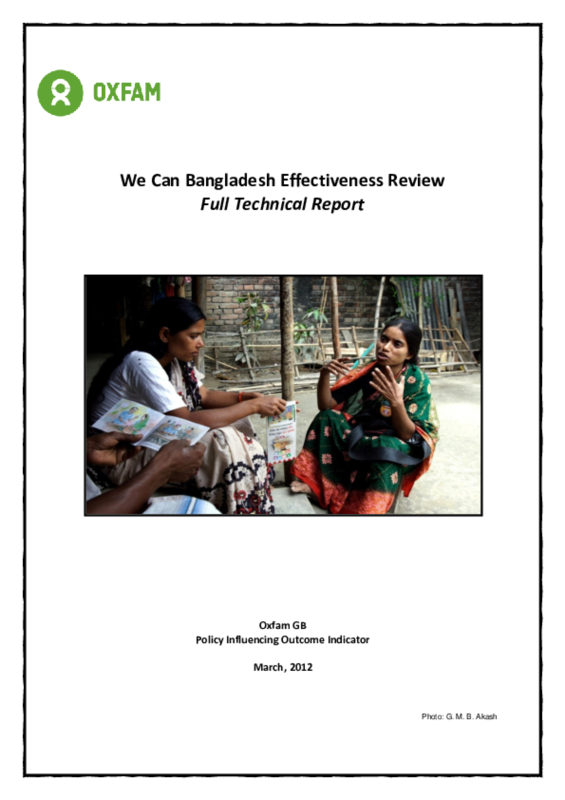 These full and summary reports document the findings of a quasi-experimental impact evaluation carried out in September 2011 in four districts of Bangladesh's Rangpur and Rajshahi divisions.